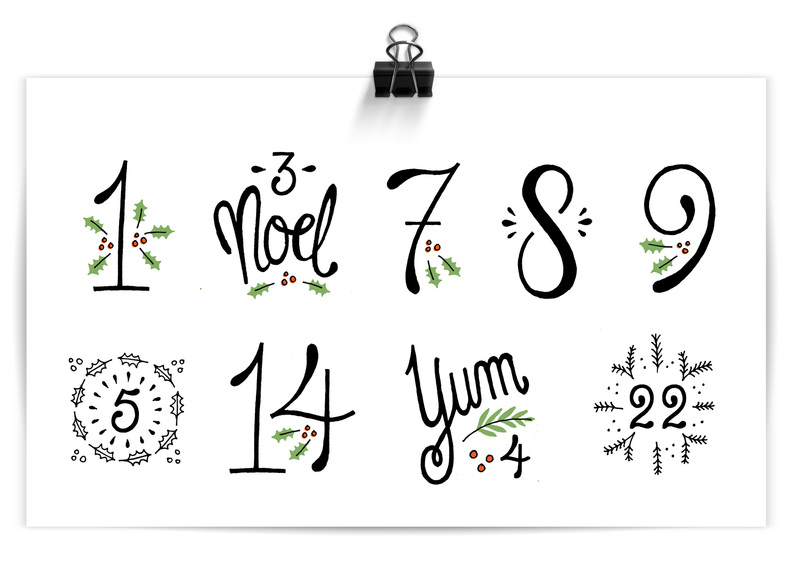 As a part-time Dane, I love a good advent calendar as part of my Christmas celebrations (read how Danes do xmas here). 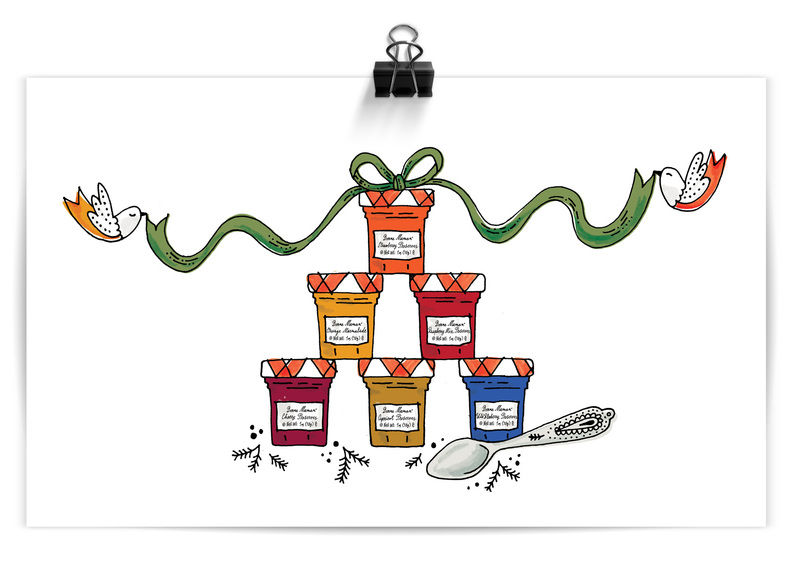 So when I got the opportunity to design and illustrate the annual advent of mini-preserves and jellies for Bonne Maman, I signed up faster than a sweet tooth gets a cavity. 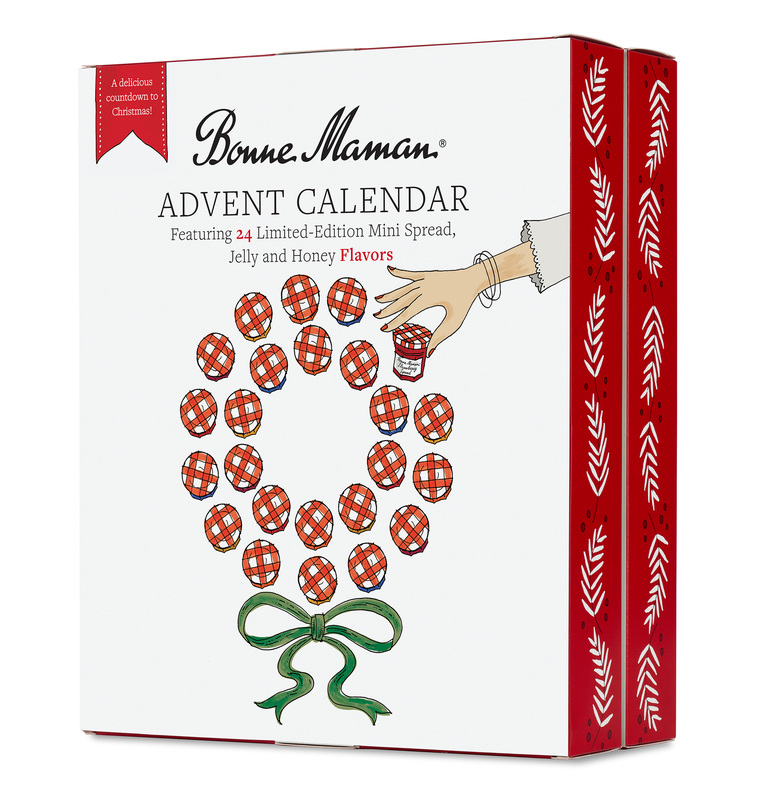 After a brainstorming round with several ideas presented, the concept of a wreath shape of 24 tiny Bonne Maman jars fit the bill by communicating “advent calendar” and being a simple holiday visual that was good for both distance viewing and close-up inspection. 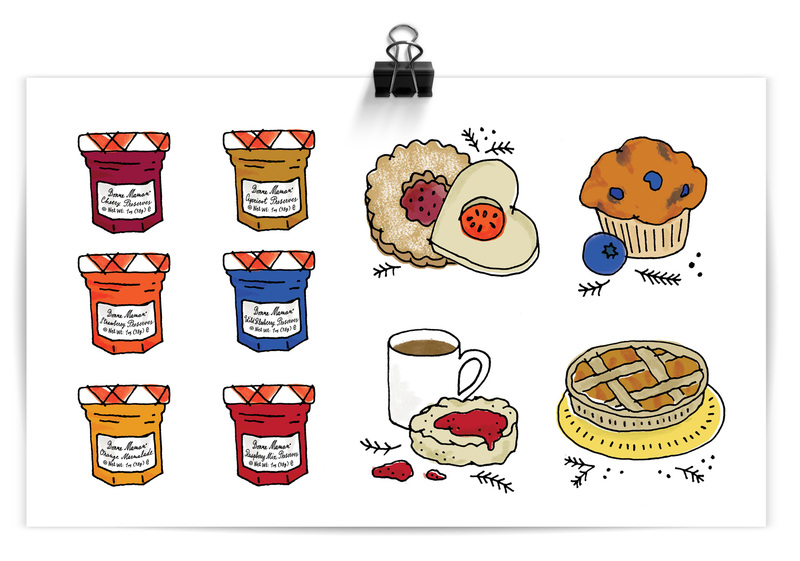 This project was fun for a few reasons, only of them being drawing teeny tiny jam jars (actually preserves, but I like the sound of jam better). The project was contracted through R/West, a Portland-founded ad agency whose creative director happened to give me my first real design job. Back in the mid-2000’s I worked with Elizabeth Morrow McKenzie when she ran her own studio, and she gave me my first introduction to packaging, hand crafted lettering and so many other firsts that are invaluable when getting started in your career (and especially important if you didn’t go to art or design school like myself). The project was a quicky, the kind of “blink twice and it’s over” gig. But when all is said and done time always flies for me when I’m lettering Frenchy numerals or drawing muffins. 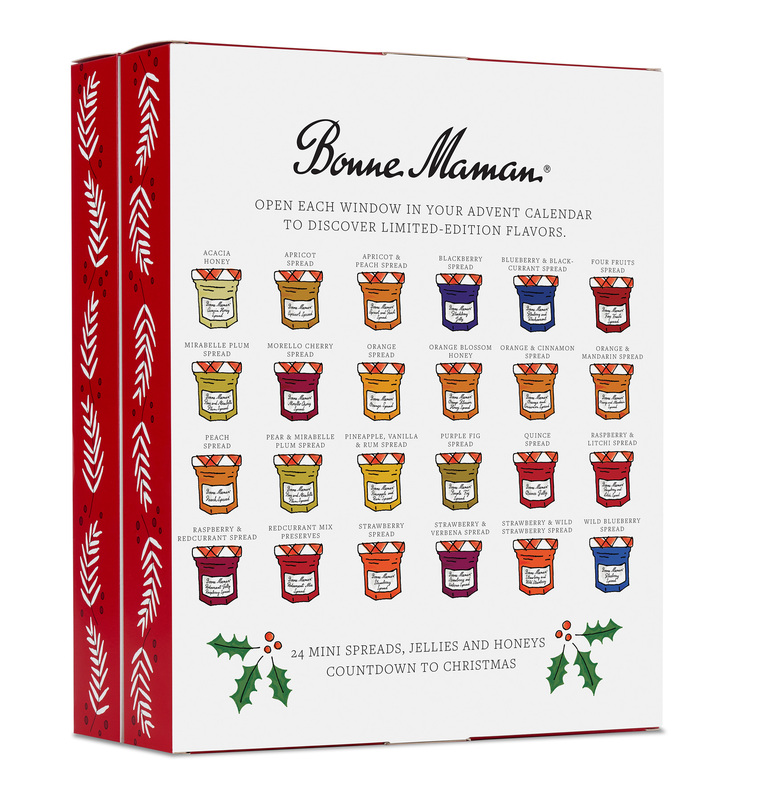 Built primarily for sale in Costco, the box opens up to reveal the 24 doors that house miniature jars for each day leading up to Christmas. The box is wrapped in a sleeve that is more minimal than the inner packaging and contains all the fine print and nutritional information. Presented in stacks of large cardboard trays, the primary visuals needed to be Christmasy from a distance. 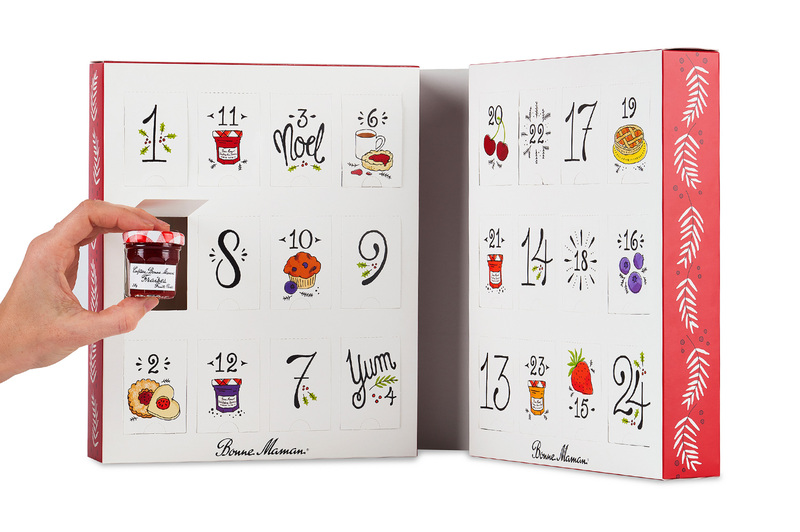 I was going to put a bunch of FOR SALE links so everyone could buy this for their mom/cousin/sister/co-worker but the advent calendar was so popular it SOLD OUT. Sorry, nothing available at Amazon, Costco, World Market…anywhere. Instead, here are a few extra illustration excerpts from the project…and yes, I did hand-letter every single label individually in tiny Bonne Maman script.